I’ve been writing recently about the wonderous ease of the French Health Care System, hailing it for the way it functions. Today, the “wonderous wheel” has ground to a halt. I feel like I’ve just woken into yet another bureaucrazy nightmare. I’ve written about several of those on this blog, sad to say. It all started when several weeks passed, and I had yet to receive a reimbursement for a doctor’s appointment I had in early January. Reimbursements tend to happen fairly quickly, so I was getting concerned. Since I knew my French was not up to the task, I hired someone to help me out. You see, when I arrived here, I applied for my Carte Vitale as a dependent of my spouse. That process went fairly (and surprisingly) smoothly. But once I went into business, I was responsible for my own cotisations (taxes paid to healthcare) and no longer a dependent of my spouse. 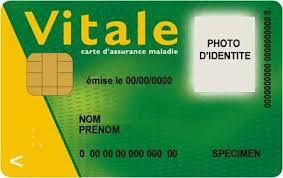 I never used my Carte Vitale that first year. Didn’t need to. I used it for the first time last year in the Fall. Ironically, I was reimbursed by check for a trip to my general doctor with no problem whatsoever. So why now all of the sudden was I not being reimbursed? When my helper emailed me back saying I needed to apply for a new Carte Vitale, the card that coordinates the coverage, along with a copy of my translated birth certificate, I thought he might be joking. Birth certificate? They already have my birth certificate. That’s how I got the Carte Vitale I have now. But no. There was no joke. He wrote: I just spoke to someone who works at La RAM. The Carte Vitale that you have worked last year when you used it – even though you had already registered as a micro-entrepreneur – because it takes them a certain amount of time to process the administrative change. They call this period a “temps de mutation”. Turns out, the Carte Vitale I have now is no longer valid and still tied to my husband, despite the fact that it has my French social security number on it. Supposedly, it hasn’t been valid since opening my own business in January of 2016. Nevermind the fact that it has been OVER A YEAR, and they never mentioned anything to me this whole time. Nevermind that no one asked for anything in the correspondence that said, “Welcome to RAM.” Nevermind that I have an online account with them stating I am covered and that reflects my chosen general doctor. Nevermind that check I cashed with my reimbursement back in November. No. Forget all that. Now I have to send them a translated birth certificate and my bank details. After some time, they will decide to send me yet another form I have to fill out and send with a copy of my passport with a new photo. After some time, they might process that and send me a new Carte Vitale. Seriously????? So now, I am required to collect a pile of “feuille de soins” or papers that verify any medical treatments I receive in order to be reimbursed retroactively. Seriously????? Ah, another day in the life in France. The French Health Care System Part VIII: That Was Close! I was supposed to have had an MRI the first week of January. As I started to think about it though, it wasn’t making intuitive sense to go through with it. 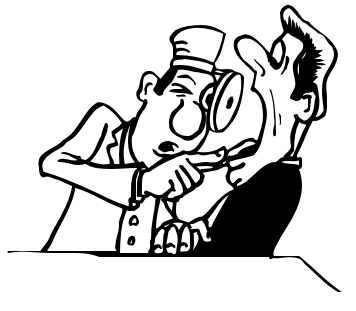 I realized that my specialist might not share the views of my general doctor and think it was unnecessary. I also wondered if the heart specialist I was scheduled to see several months later would also want an MRI. The thought of having to live through the procedure twice was too much for me. So, despite the effort required to make the MRI appointment, I ended up canceling it. For the sake of the story, I’ll share the appointment-making process. I tried calling the nearest hospital, but they said they didn’t do MRI’s, so I called one of the hospitals in the larger city nearby. Somehow, I managed to communicate with the receptionist what I needed. Via email (and with several trusty online translators at my side), we coordinated paperwork. When I didn’t hear back a couple of weeks later, and with my specialist appointment looming, I emailed to enquire. Apparently, they had made me an appointment the week I’d first contacted them, but I never got the email confirmation! Good thing I checked. At any rate, my appointment was going to be the day before my specialist appointment, probably not soon enough to get the results to her. That was my first indication to rethink things. The appointment confirmation email came with a long list of “fun” preparatory instructions. They weren’t all that difficult, but just reading them made me queasy. There was also a prescription for something to clean me out the day before, another reason to resist the joys of medical tests. I will never understand why one is told to take something chemical to do what something natural could accomplish just as easily. It’s the pharma-mentality, I guess. Canceling turned out to be a good choice. The specialist I saw in Bordeaux didn’t feel an MRI was warranted. I’m SO glad I followed my gut feeling on that one! At least I finally got to see Bordeaux. Since it’s an hour and a half drive, we went for the day. After parking and then asking a couple of people for directions, we had an indescribably horrible lunch (it happens) because the vegan restaurant we wanted to go to was closed for some “time off”. (How French!) I left my meat-infested salad on my plate and was told “sorry” by the waitstaff, but they weren’t sorry enough to take it off the bill. To be fair, they offered me another item off the menu, but by then, I had thoroughly lost my appetite. Fortunately, there was a fruit stand a few steps from the restaurant where I was saved by a couple of Clementine oranges and some Medjool dates. We did manage to take in a museum and gallery before the doctor. I was thrilled to find that one of my favorite painters was on exhibit at the gallery. That was a stroke of luck that made up for lunch! Care is more congenial though not necessarily punctual or private (or cutting edge–that said, my generalist seems very open to research presented). Prescriptions and necessary tests are generously bestowed. Wait times for an appointment to see a specialist can be just as long here as anywhere. There is no centralized system of information, it seems, so one just carries her entire medical history around from one appointment to the next. That said, it would follow that it is up to me and me alone to make sure anyone I see knows all the facts. The most annoying things about needing medical attention here are the same annoyances everywhere…the appointments, the driving around, the waiting. Here, there’s the language issue. But there, there’s the exclusionary and excessive costs. Here, there’s a certain laissez-faire attitude, but in the states, there’s that impersonal assembly line. So far, this leads me to put socialized medicine way ahead. Will that hold true? The next step for me is an appointment with a GYN, which I was finally able to make with one in Bordeaux, in January. (Hey, not bad! Only a month away!) She speaks English, and though I was recommended to a couple of others closer to home, the language thing definitely influenced my choice. Medical stuff is stressful enough without a language barrier. Besides, having tried to make appointments with others and not being able to get through on the phone, I was happy to finally get a human on the other end of the line and just book. 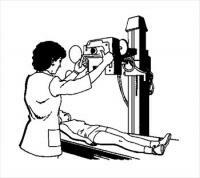 I’m still in the midst of making my MRI (IRM here) appointment at the nearest hospital that offers it. I had a truly ridiculous Franglish conversation with the appointment person via phone, and we ended up moving the conversation to email which works better for me. I had to fill out a questionnaire saying I had no implants or metal parts, etc, etc., and now I’m simply waiting to here back. I’ve heard that MRI’s can take weeks to get here, but maybe not so much again in the country vs. city. We shall see. Fingers crossed it all goes smoothly and with plenty of time before my doctor’s appointment in January. UPDATE: Finally arranged the MRI. It’s a good thing I followed up because the receptionist said she had emailed me my appointment a week ago; I never received it! She claimed it probably went to spam, which it did not, so I don’t know what happened. At any rate, I have an appointment in January (so four weeks away), and thankfully, the day before my specialist! It seems specialists aren’t as easy to see quickly here in France (and yes, that’s the same everywhere, I’m afraid). I don’t have an appointment with a cardiologist for four months and things aren’t looking much better to schedule with a GYN. So a day or so ago, I returned to follow-up with my general practitioner. Since my husband needed a referral to an optician, we decided to make back-to-back appointments. We arrived a few minutes before my appointment time and sat in the waiting room for an hour and fifteen minutes. It happens! I think it happens here more than in the US because here, doctors aren’t treating patients like an assembly line…five minutes, g’bye, next! For as long as we waited, the same amount of time was given to us by the doctor! I handed her my business card because last time, she expressed an interest in my meditation instruction. Then my husband mentioned his painting lessons in which she had mentioned an interest as well. So they talked about that for a few minutes. I was thinking of the small horde of people outside waiting! After the pleasantries, she reviewed my bloodwork. I was relieved that my LDL cholesterol was not as concerning to her as it was to me. She does want me to change a few things…more exercise (which I already do every day but maybe not enough aerobic-type stuff), the expected dietary changes, some vitamins, but no medications, thank goodness! Then she looked at the hormone tests and matter-of-factly pronounced “Menopause!” No shocker there, really. The last couple of years of my life, I have had multiple personalities. Now I know why. We then moved on to review my echographie results. No news there either. I need to see a GYN. I have yet to schedule an appointment with one. I’ve tried, but I never seem to get a hold of a human. In fact, I’ve been trying all morning to make a radiology appointment with no luck either. Nothing frustrates me more! It is tension-producing enough to have to make a call in French and wonder whether or not I’ll actually be able to communicate. It takes a great deal of psyching myself up beforehand. And now the landline has a dead battery and of course, the cell phone has no reception here. Anyway, back to my appointment. Since I had put my back out earlier in the week, the doctor took a look at that too. My whole life, I have been blessed to be so very healthy. Everything now seems to be hitting me at once! She wrote me several pieces of paper…some prescriptions, a couple more lab tests, blood work in 4 months… I paid a whopping 6 euros 90 centimes for her services. Then it was my husband’s turn. He received the referral he desired and paid his 6.90 too. Between my appointment and my husbands, the receptionist came in bearing pharmaceutical gifts for some sinus-related product. She and the doctor were excited about the colorful cup of pens and 2017 calendar. I guess Big Pharma plays its little games of enticement in every country. Today, I had an echogram. I like echograms. They are a lot more fun than most any other procedure, not terribly invasive, but very fascinating. Maybe it’s just because I’m into sound healing and stuff. Since we were going to be “in town”, we dropped off our car for some repairs at the garage and picked up our loaner vehicle. Well, actually, we tried to pick up some woman’s sleek, black VW, but when the key fob wouldn’t open anything…and when the woman started yelling at us in French from across the parking lot…we realized our mistake. The loaner was the very dented, pale green Citroen next to it. We then checked in at the hospital. It’s always fun to barely understand someone (ie: the receptionist), to ask her to repeat herself over and over, to assume to grasp the meaning when you’ve only understood a few words. This is the game known as expat-roulette. It’s all very exciting and frequently humiliating. Sometimes it is fun, depending on the person with whom one is communicating. Context helps tremendously, but one can never really be sure, can one? We waited in the waiting room. A few people were also waiting. One thing I have finally begun to understand is that when you enter a room or store or restaurant in France, it is polite to say hello to everyone there. That is so “not me”, and I’m still building up my courage to do it before anyone else starts it off. I don’t know why I feel like I’m announcing “I’m here!” when I do it. After all, it isn’t about me, is it? It’s about the other…acknowledging their presence. I was called into the exam room which was comfortably warm, something I am most grateful for. I removed what clothing I needed, was properly draped for privacy (guess the hospital has higher standards than my general practitioner), and was then squirted with that damn cold gel! The technician, a woman who spoke excellent English (lucky me! ), found two possible concerns and has therefore referred me to a gynecologist. Oh boy! Another appointment to make on my long list of appointments. I was handed my results afterwards, within 30 minutes and sent on my way. Cost to me that day: 20 euros. So, today, I had my blood tests performed at a lab in a nearby town. I had made an appointment the other day. My appointment was at 8:50AM so I had to fast 12 hours from the night before. We arrived and were called to the reception desk immediately. The woman behind the counter didn’t speak English for which I was grateful; I need all the practice I can get. She finished taking my details and we had a seat. Almost immediately, I was called into a room where a very masterful technician drew two vials of blood from my somewhat teeny-weeny veins while he complimented me on my French. (I held in the laughter.) And voila! It was over. The entire thing took less that 15 minutes. 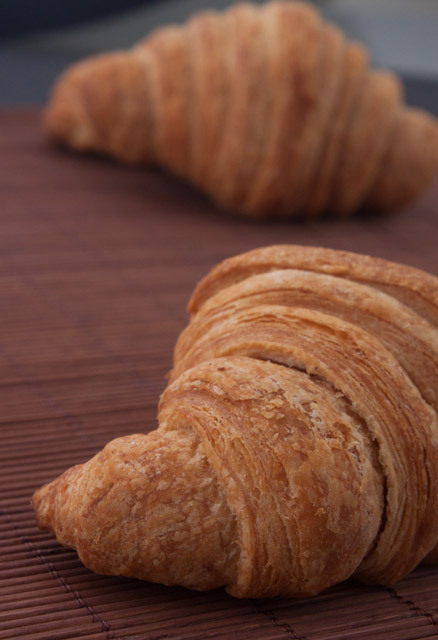 As a treat, Stuart took me to a patisserie afterwards where we both indulged in a somewhat unhealthy but buttery and flaky breakfast. It made it all worth while. Within a week, I received the results of the test in the mail. Guess that buttery croissant was a bad idea! My cholesterol is up. That’s what two years of stress and the French diet will do to a woman. Goodbye cheese. Goodbye eggs. Goodbye butter. Today was productive. I managed to make a lab appointment for blood tests, a echogram appointment at the nearest hospital, and to have all my prescriptions filled at the pharmacy. In France, there’s a pharmacy on every corner. The French take their medicines very seriously. Unlike in the over-the-counter United States, most medicines are only available in a pharmacy. It took me quite a while to get used to the fact that I couldn’t get ibuprofen at my weekly visit to the grocery store. Instead, I could only get a pack of 10 or so pills at the pharmacy…and only by requesting it. I’m not sure what to think about that. I suppose it is helpful, since being a foreigner here, I wouldn’t know what I was looking at if they DID give easy access to everything anyway. The positives of the French system are that I got all this (pictured below) and only paid 4 euros 90 centimes for the one thing that wasn’t covered. 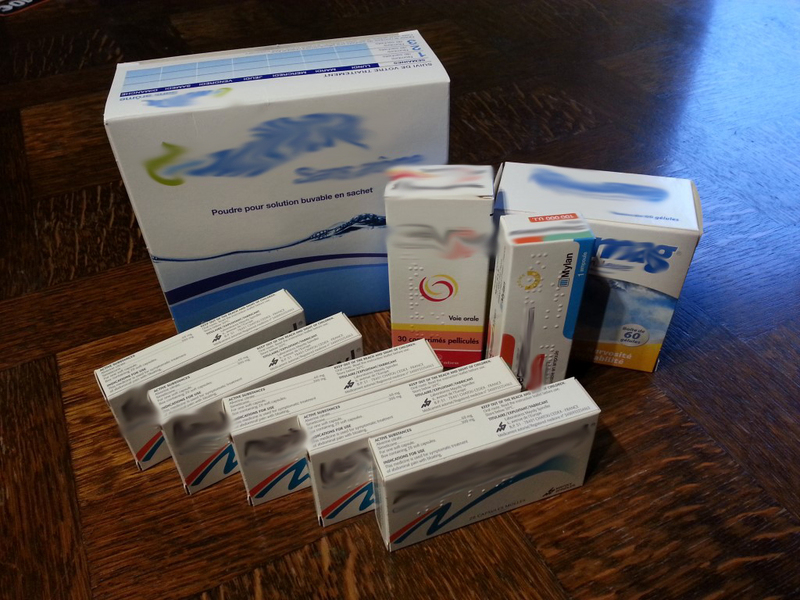 The rest totaling under 30 euros was covered both by the system and our top-up insurance. If I were to purchase these same items in the same quantities over a three-month period from the United States (assuming they were available), I would have paid over an estimated $200 without insurance. It’s no mystery that prescriptions are outrageously priced in the United States. That’s capitalism for ya! The one aspect of capitalism I do miss is walking into a Whole Foods type of store and having my choice of supplements and vitamins to choose from. I also miss stores like Walgreens and CVS, where I can get my hands on any over-the-counter medication without having to speak to a single soul. So far, though, I have to give the points on this round to socialized healthcare!